Home / Uncategorized / Terraforming Mars digital version! We are happy to announce that Terraforming Mars now has its own page on Steam, for the upcoming digital version of it. We’ve collaborated with Asmodee Digital and LuckyHammers to make a faithful translation of the game for digital devices. The game will be available on PC, iOS, and Android, and will feature the complete game with unchanged rules. You can play the original solo mode, or solo against AI opponents. 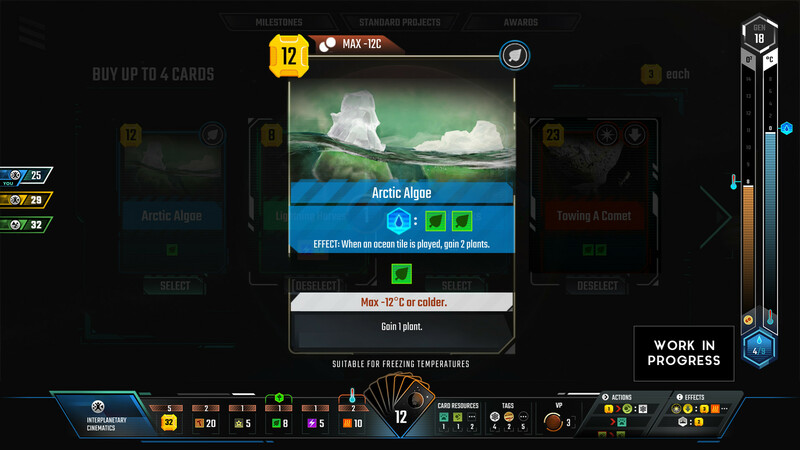 AI opponents are also available in multiplayer, where you can either play on the same device by pass-and-play, or networked with users on the same, or even on other platforms. We’ve had some demos with the studio, and are blown away by the amazing graphics, stylish design, and dynamic elements. Are you interested yet? 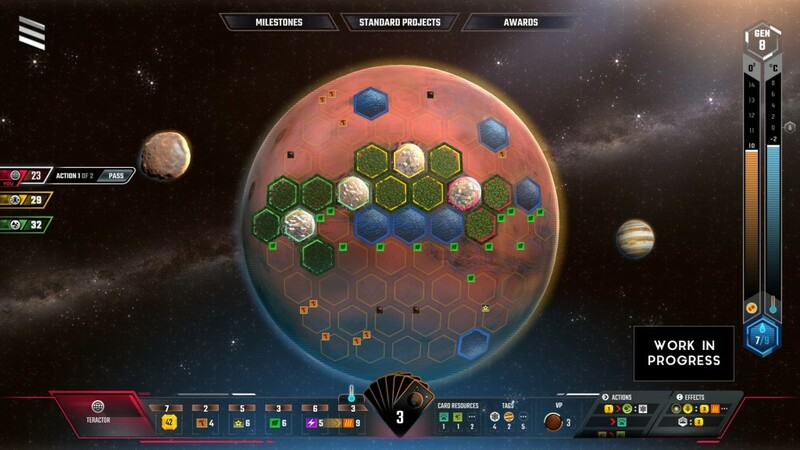 If you want information about this project, and want to help us get exposure on Steam, be sure to add Terraforming Mars to your Steam wishlist.